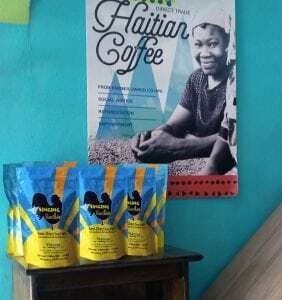 Singing Rooster News – Haitian coffee, chocolate, art Say hello to Papillon ! Say hello to Papillon ! In other words, most orphans in Haiti aren’t really orphans. Why? 70% of parents are unemployed. Jobless parents put children in orphanages out of need, not desire. Papillon is a Haitian social enterprise that markets artisan goods. They create jobs for parents so that they may keep children at home. They’re also environmentally conscience where products are made from recycled materials. Even if you’ve never heard of Papillon, you’re likely familiar with their jewelry. This video shows how beads made from upcycled cereal boxes, clay, glass & brass are transformed into jewelry. Visit the cafe on Delma in Port au Prince for a smoothie. They’ve since ventured into coffee mugs, t-shirts, metal art, and more. When you’re in Haiti, visit their boutique on Delma. Shop, then toss back a smoothie or eat pizza in their new (totally awesome – don’t miss the upcycled furniture from pallets) cafe. While you’re there, buy a bag of Singing Rooster #haitiancoffee (shameless plug). It’s roasted IN Haiti because we share Papillon’s vision of providing stable employment opportunities for Haitians. 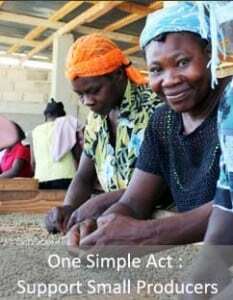 Jobs = a self-sustaining Haiti, a place where parents put food on the table. Their boutique on Delma in Port au Prince sells Singing Rooster #haitiancoffee (that’s roasted in Haiti). Papillon trains and educate employees, pays a living age, and provide on-site child care. Artisans craft pieces from recycled materials such as paper, clay, glass bottles, aluminum, and steel drums. They acquire raw materials in Haiti, offering a wide variety of products. @PapillonEnterpr Singing Rooster loves you! Creating self-sustaining jobs in Haiti. Join us. Buy Papillon jewelry online from Singing Rooster. We’re a member of the Fair Trade Federation.